They call it “the World’s Toughest Canoe Race”—and for good reason. 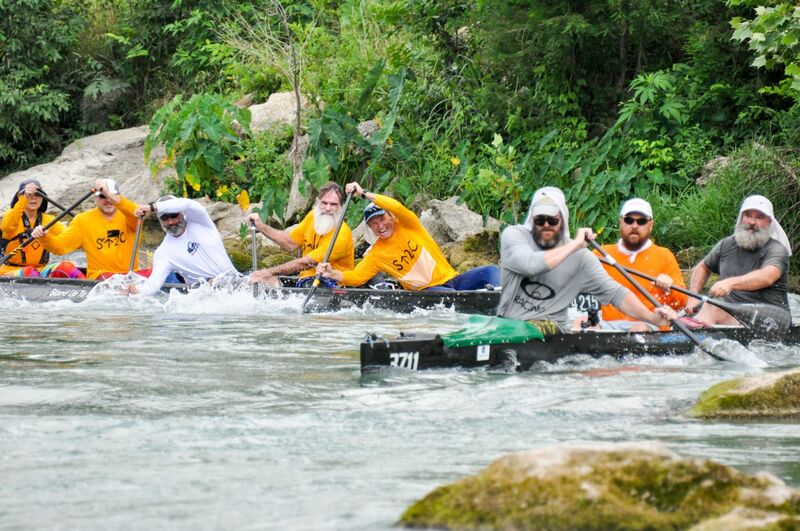 Stretching from where the San Marcos River forms down to the Gulf Coast, the Texas Water Safari is a 260-mile race that has been testing the mettle of its participants since 1963. 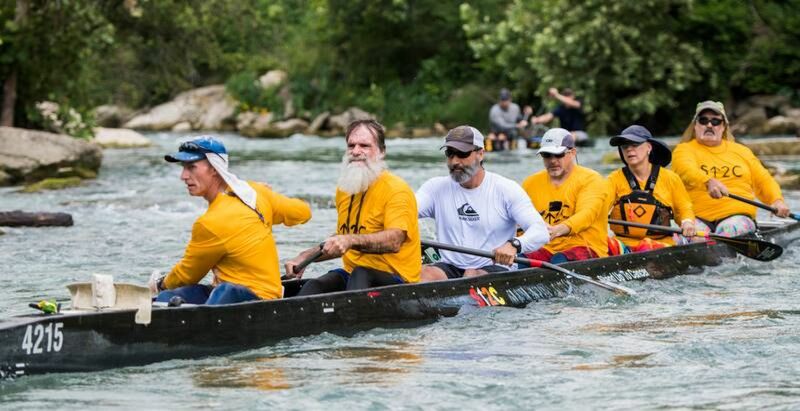 For CG&S estimator and adventurer Max Hambly, the most recent race marks his seventh journey down the river, an experience which never fails to instill a sense of humility, humanity and community in him. Despite such daunting obstacles, this year had a record of 150 boats signed up. 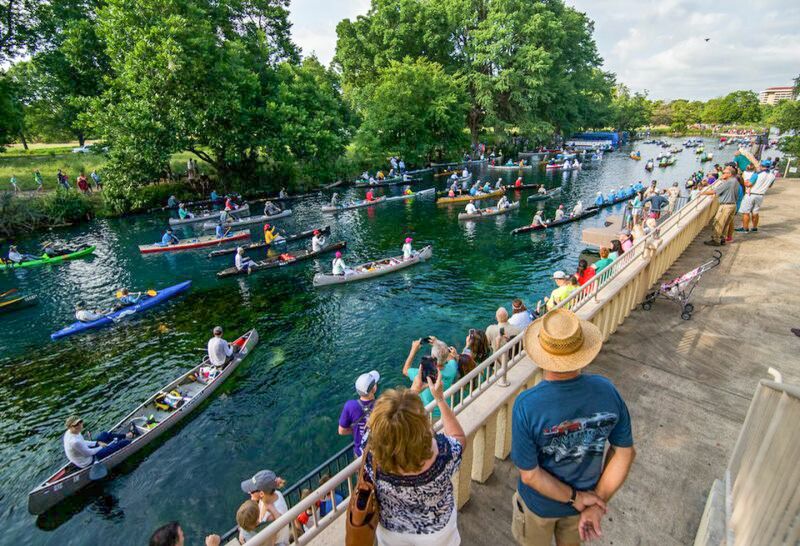 In previous years, the number has been closer to 100 boats, which equates to roughly 300 individual canoers since there are multiple ways to approach the race—from going solo to tandem canoeing all the way up to 6-person teams. This year was Hambly’s first year attempting the course in a multi-man boat, having previously done it solo and, before that, tandem with a trusted partner. After Hambly and his partner were invited to join a six-person team, they had to learn the nuances of maneuvering a 40-foot boat. “That’s kind of the highest level of the competition, so we learned a lot from guys that had been running the big boats for a while, so that was really cool,” Hambly said. The squad from left to right: John Hoffart, John Qualls, Max Hambly, Mike Tecci, Jeanette Burris, & Chris Paddack. Mastering the logistical and technical challenges is a large part of preparing for and succeeding in the race, and the methods of preparation are as varied as the people who take part in it. An enormous part of what makes the experience unique and enriching is the people. Some contestants are in their 50s, 60s or even 70s and have been doing the race for decades. Families will often compete together—parents and children, husbands and wives, fathers and daughters—and contestants from all walks of life will share tears of joy and countless stories with each other. After undergoing a huge amount of physical and mental stress, each person who completes it is welcomed with open arms and a spirit of camaraderie. Out of 150 entries (not all of which actually made it into the water), Hambly’s team came in 11th, a personal best for him after finishing in 18th place overall for three years in a row. While the special recognition given to the top 15 finishers made this a memorable race for Hambly, the real value came from the experience itself. It’s difficult to describe how such an experience affects a person, but, for Hambly, the word “transformative” comes close.